Britain’s prestigious Chelsea Arts Club, a gathering of the country’s best artists and creatives, commissioned a series of inhouse posters advertising a newly-published art book. A pleasant bit of fun with my art director Oliver. First idea to final execution took under a day, with the copy blazing out in under an hour. Here’s the PDF version. 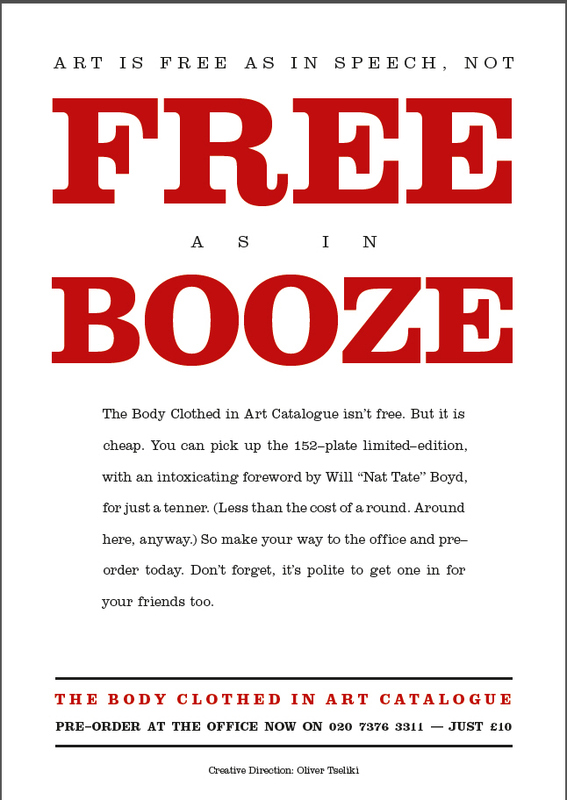 Copy: The Body Clothed in Art Catalogue isn’t free. But it is cheap. You can pick up the 152–plate limited–edition, with an intoxicating foreword by Will “Nat Tate” Boyd, for just a tenner. (Less than the cost of a round. Around here, anyway.) So make your way to the office and pre-order today. Don’t forget, it’s polite to get one in for your friends too. 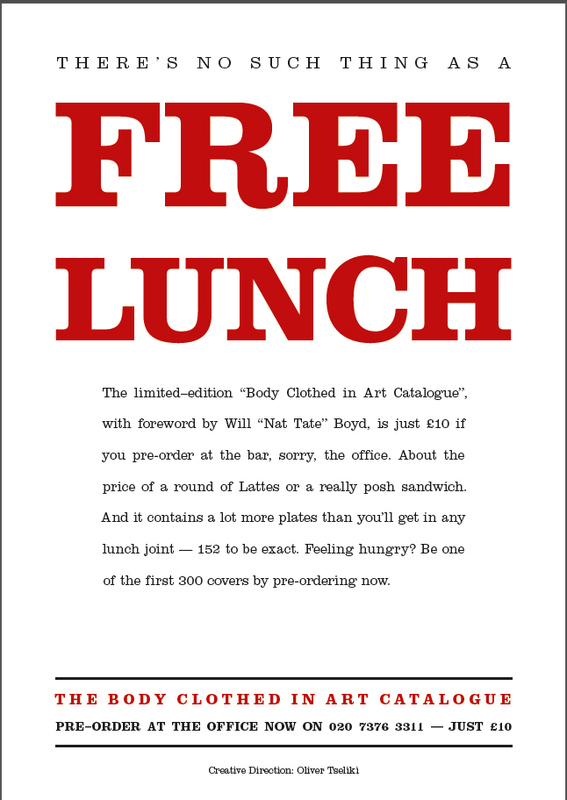 Copy: The limited–edition “Body Clothed in Art Catalogue”, with foreword by Will “Nat Tate” Boyd, is just £10 if you pre-order at the bar, sorry, the office. About the price of a round of Lattes or a really posh sandwich. And it contains a lot more plates than you’ll get in any lunch joint — 152 to be exact. Feeling hungry? Be one of the first 300 covers by pre-ordering now.